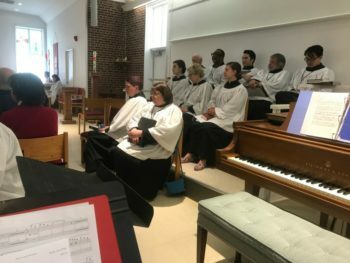 St. Anne’s has a strong appreciation for the importance of music during worship. We are blessed to have a congregation that is full of amateur and professional musicians, many of whom share their vocal and instrumental talents during services. Our vested choir sings during the 11 a.m. service on Sundays. A Bedient pipe organ and grand piano provide musical support at both services. Many parts of the liturgy are sung. We use both the 1982 Episcopal Hymnal and the African-American hymnal, Lift every Voice and Sing (LEVAS). Our congregation always sings with great enthusiasm! We welcome anyone with an interest in singing with our choir. 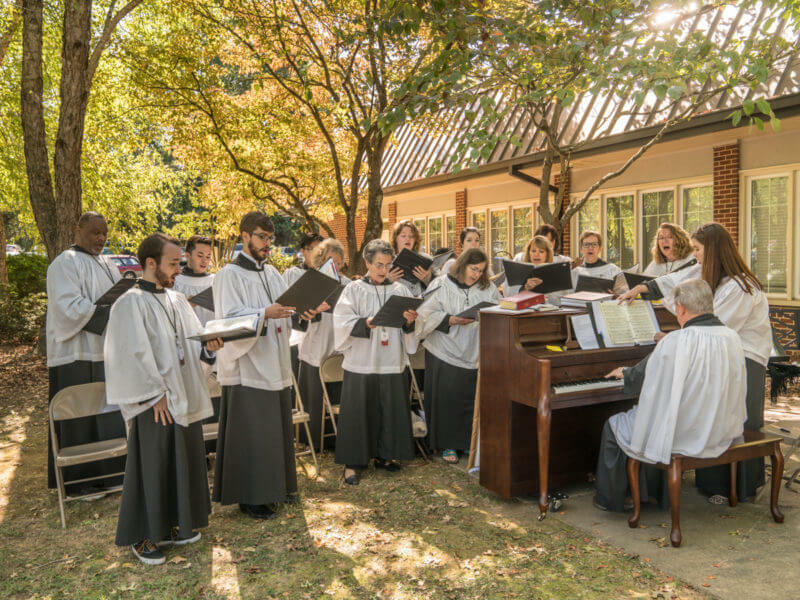 The choir rehearses every Sunday morning from 9:00 – 10:15 a.m. and sings during the 11:00 a.m. service, as well as other special occasions throughout the year. We record choir anthems and special music each Sunday for the congregation to enjoy throughout the week.